My father was very fond of working with wood. He had a lot of different saws, lathes, and various other tools in his shop. Dad worked with wood; I play guitar. This is my tool box. It is a blessing to own such a wonderful collection of instruments; it is the sole extravagance in my life. I grew up in Rochester, NY in the late 1960s. 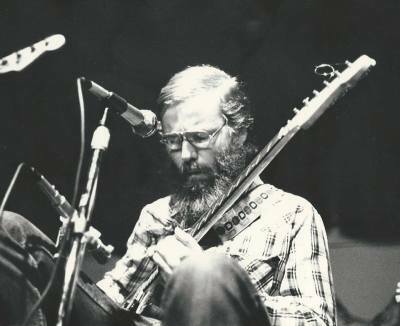 At that time, there was a well-known instrument collector and dealer named Eldon Stutzman who ran a little shop called the Guitar Center. 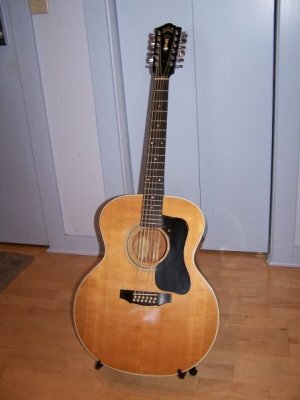 I bought my first Martin (a Brazilian Rosewood D28) from him for $399. Mr. Stutzman was the one that gave me a bug for instruments that has never let go. I know a lot of fine guitarists who only own one or two instruments. There are others I know who own many more. The number of instruments someone owns has no bearing on the quality of one's musicianship. The only thing that matters is what you do with them. I have spent a great deal of time learning about instruments, and I have pretty strong ideas about the ones that really work for me, as well as those that don't. From my standpoint, this is the perfect collection: a combination of classics, some oddballs, and a few new designs. I use some of these instruments regularly, and others very infrequently. Some are quite valuable, and others are not....I could care less--they are all for playing. Good instruments have their own stories, and their own personalities. I believe that they are like one half of a soul. The other half comes from the fingers, heart, and head of the player. I met Mike Kemnitzer (the builder) in Winfield, Kansas in the early 1980s. I got the bug for Nuggets after watching Tim O'Brien play his in Hot Rize. I stayed in touch with Mike, and he hitched me up with this mandolin around 1986, when a customer traded up for a fancier model. It cost me $750 then. Needless to say, it is worth a wee bit more now. I have always loved Martin D18s. This Collings is basically the same formula---a dreadnought guitar with Mahogany back and sides. It is my favorite instrument for flatpicking. It sounds great, and it is a good travelling instrument. 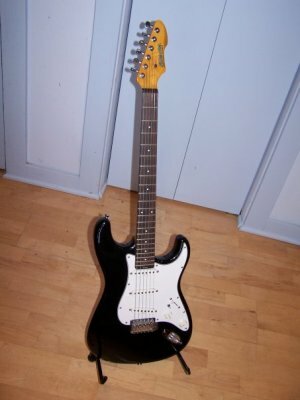 A top-notch D.
I have had several Fender Strats over the years, including a 1963 Sunburst with rosewood fingerboard (that is one that got away), and two Eric Johnsons, but this is still my favorite. Blade was founded by Gary Levinson, and the original instruments were made in Switzerland. This one was made in Japan. I love everything about it---it sounds great, and plays great. 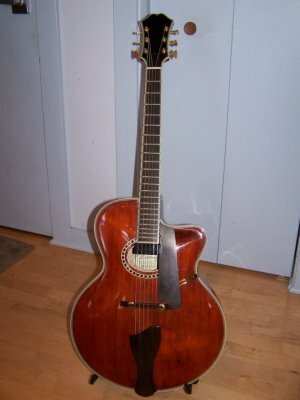 I bought this guitar from Craig Hoffman when I was teaching in his Raleigh, NC shop in the early 1990s. The body was replaced (a very long story) in the early 2000s, and the old body ended up being used for a baritone guitar. This is my favorite all-purpose steelstring. I bought this in 1974 for $400. 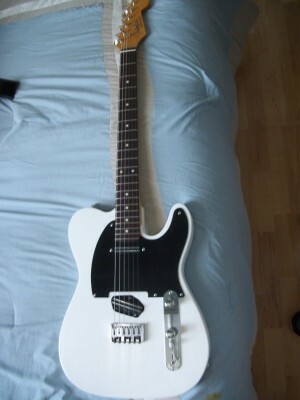 (those were the days) It has a PAF pickup and the tone is wonderful. This guitar was built for thick flatwound strings. 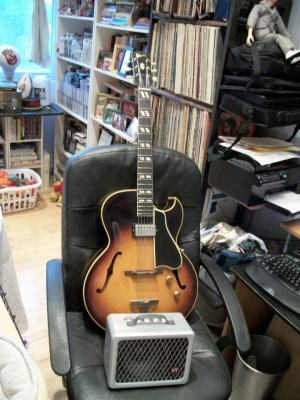 Herb Ellis was my hero, and he gave me a lesson once---part of which included him adjusting the pole pieces on the pickup. I haven't touched it since, and if anyone works on the guitar, I issue strict orders to not touch it. This is the original body of my OOO-16. Wes Lambe built the neck. I use it only for recordings, and it is one of my favorite speciality instruments. I made the acquaintance of Gavin Baird while performing at the Winnipeg Folk Fest with Peter Ostroushko in 2008. One thing led to another when I made the remark that the only kind of steelstring I never had (but wanted) was a J45 style. This was the result. I believe that he retired from building shortly after finishing this one. I got the bug for oval-hole mandolin tone from Peter Ostroushko. 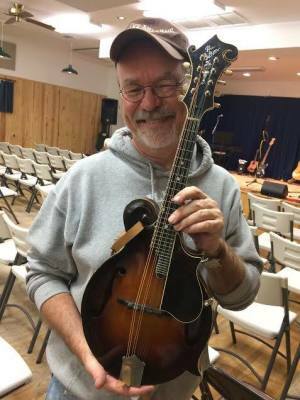 This mandolin bears Peter's name, and it is similar to the one that he used on the "Meeting on Southern Soil" album he recorded with Norman Blake. This fantastic instrument was built by Bob Abrams, who lives in New Hampshire. I use it for recordings and the occasional solo performances. Brian lives in Canada and he does some of the most interesting mandolin designs on the planet. (look him up online) This is a wonderful mandola. My main nylon string guitar. I have really gotten the uke bug over the past several years. 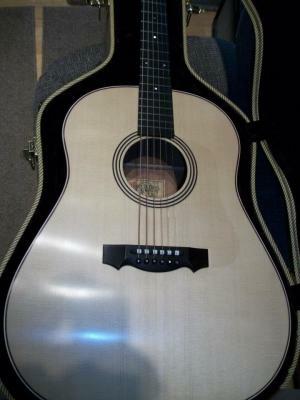 I have ten of them---all styles and sizes---but this one (a tenor) is my favorite for recordings and gigs. 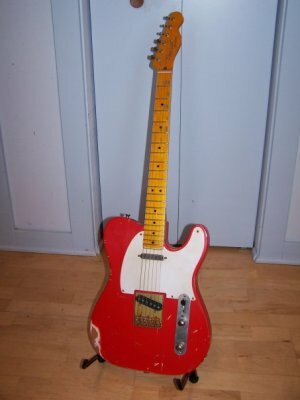 I have no idea how Bill Nash does it, but this guitar looks and feels like it's about fifty years old. 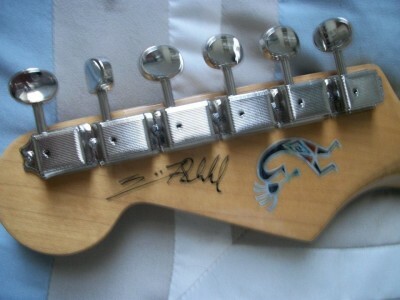 It has Lollar pickups, and the neck fits me like a glove. This and the Blade Strat are my two main solidbodies. The Elitist Line (no longer being made, I believe) were Japanese-made instruments that were almost identical in quality to their US-made Gibson cousins, albeit at a much lower price. (If you want a top-notch Les Paul at a great price, look for an Elitist version. You will not be disappointed.) You simply can't beat a 335 for versatility. I have had several Les Pauls---Gibsons and Epiphone Elitists---over the years, but they always felt kind of heavy to me. I always loved the simpler Les Paul Specials because of their lighter weight. 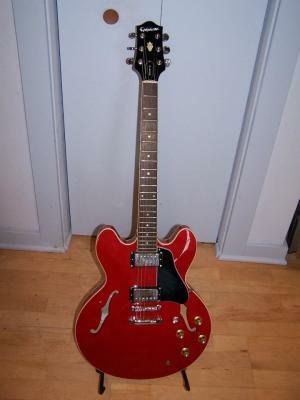 This Robin fits the bill, complete with a great P90-style pickup. 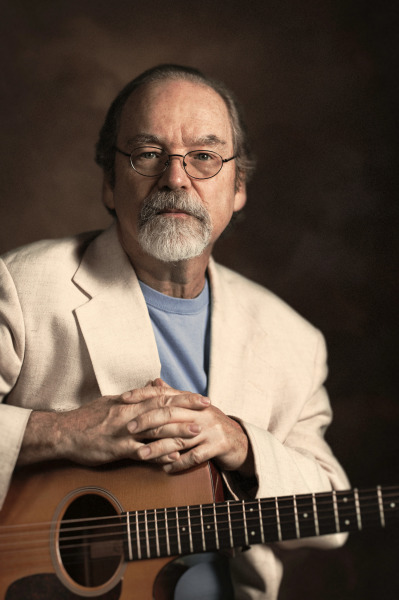 I got the bug for playing the 12 string (like a few thousand others) after discovering Leo Kottke's "6 and 12 string guitar" album in the early 1970s. I have had this guitar since the 1970s. It gets used very rarely these days, but when I need a 12 string sound, I have it---and it's still the best. 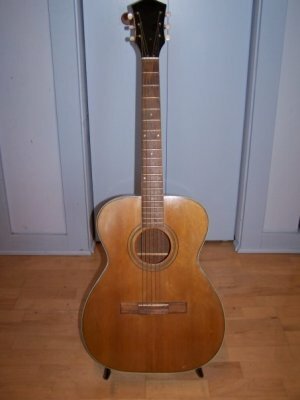 I won this guitar when I took 2nd place at the National Fingerpicking Guitar Championship in 1980. The Collings D1 has supplanted it as my main dreadnought, but I have tremendous sentimental attachment to this instrument, and it is a solid all-purpose guitar. This is my favorite tube amp. That's all I need to say! This is an early Eastman Instrument based on the Gibson Howard Roberts design (ie. 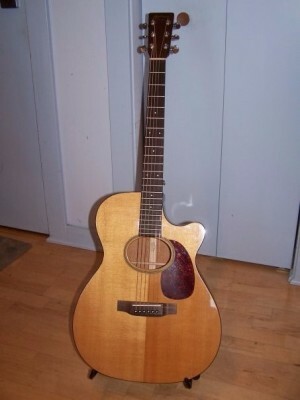 an archtop with an oval hole.) It has no logo on the headstock, and it is strung with thick roundwounds, as it is much of more of an acoustic archtop than my ES175. A wonderful jazz box. 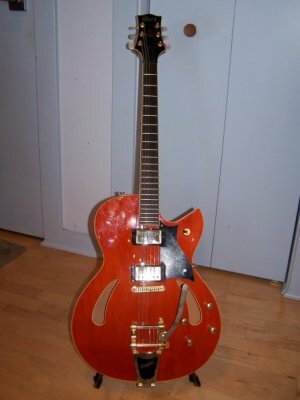 A Gretsch-style (complete with Bigsby and orange color) thin hollowbody that I got for peanuts----$250 with a hardshell case. Since this picture was taken, the pickups were swapped out for the old humbuckers harvested from my SG. You can read more about this guitar in my Bio. I have had it since late 1971, and it saw lots of playing time until the mid1980s, when it basically got mothballed. I have recently had it refurbed, updated, repaired and adjusted and it will be back out for stage time once again. This---and my ES175---are the two instruments I have had the longest. 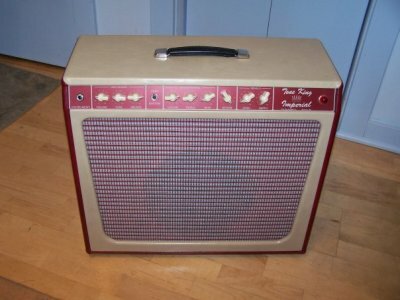 It is an ancient Hagstrom (with humbuckers added in the early 1970s) that was Rosebud's companion for many years of stage time. I still use it for bottleneck occasionally. It has very high action and super-thick flatwounds---perfect for my ham-fisted slide technique. The Lunchbox (I have two of them) is my most-used amp for jazz gigs. This photo with the ES175 illustrates the amazingly small size. 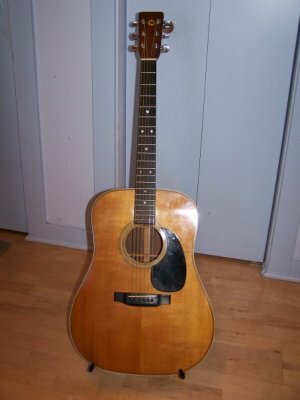 This old Martin D28 was originally owned by Clarence White, but it is best known as Tony Rice's guitar. It is probably the best-known steelstring guitar on the planet. 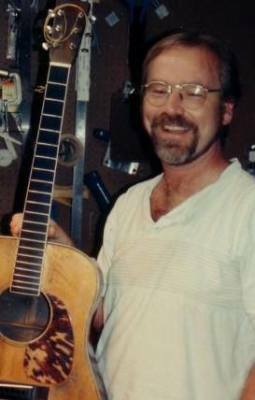 This photo was taken when it was brought into Craig Hoffman's shop in the early 1990s for a re-fret job. I did get to play it before it left the shop, and I'll never forget it. At the moment this photo was taken, David Lindley was telling me that the pickup on my old lap steel was even older than I thought. 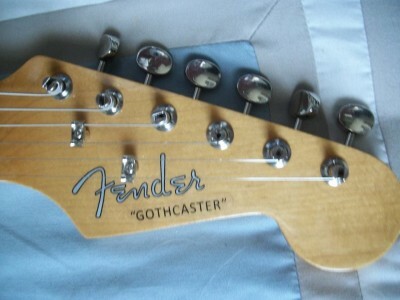 He said it was the same one Fender used on the ancient Broadcaster guitars. This is a guitar that Ben Maschal put together for me. I bought all the ingredients, and he did the rest. It was a 60th birthday present from me to me. I learned how to play my first Mississippi John Hurt song on a Harmony Sovereign when I was about 18 years old. An older woman at my church gave me a damaged Sovereign in the mid 1990s. I had the neck repaired, then added the MJH decal about a year ago. Nope, I don't own it (!!!!) but I did get to play it recently.